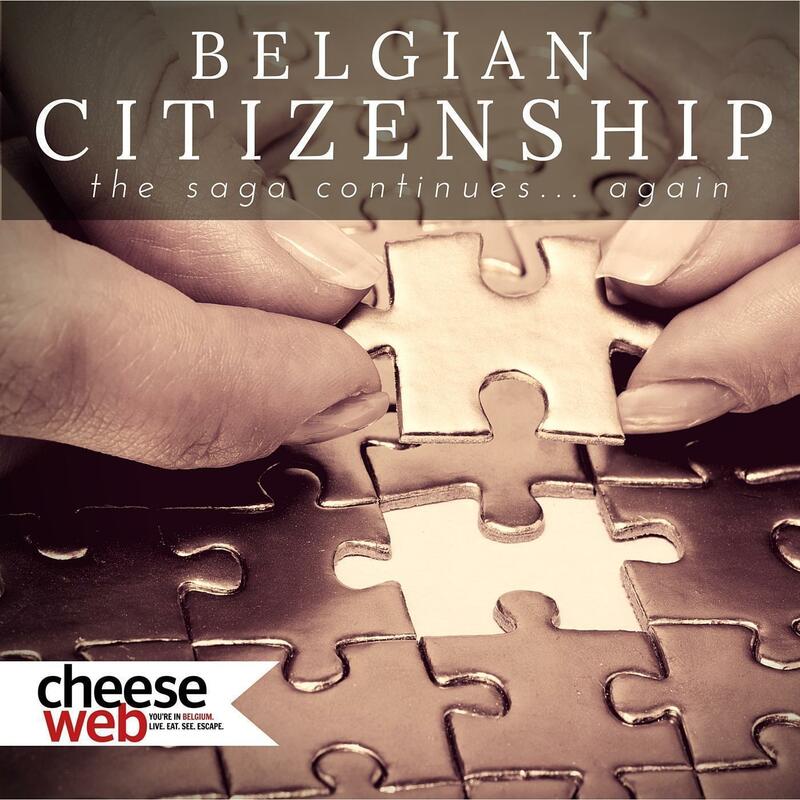 This entry is part 3 of 3 in the series Belgian Citizenship. We first applied for citizenship in late 2012, ahead of changes planned for January 2013. 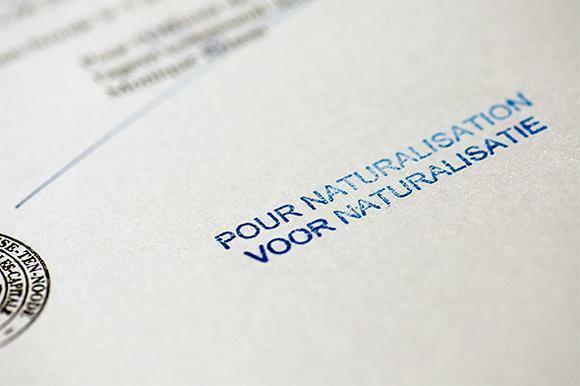 At the time, an immigrant residing in Belgium for seven consecutive years could automatically become a Belgian citizen. From 2013 onwards, applicants needed to meet new requirements, such as proof of social or economic integration. Long story short, Alison was accepted and I was rejected. (Cue sad music.) I appealed the decision but had no information on the appeal’s status beyond it being a ‘one to two year process.’ Nevertheless, we celebrated Alison’s success and awaited word on my appeal. One year later, having heard nothing about my appeal, I returned to the commune for an update. “We have no information, nor any way to get information,” the staff told me. Appeals are sent to the Justice department and are out of the hands of the commune. I asked if there was anything else I could do. “Well, you could reapply.” Ah hah! A clue! Pretty straightforward, right? For most people, it is. But not for me. Although I’ve worked here since 2005, I was employed in Canada but transferred to Belgium. Therefore, my payroll was in Canada, not in Belgium. Thus, no ‘comptes individuelle.’ Nothing is ever easy. 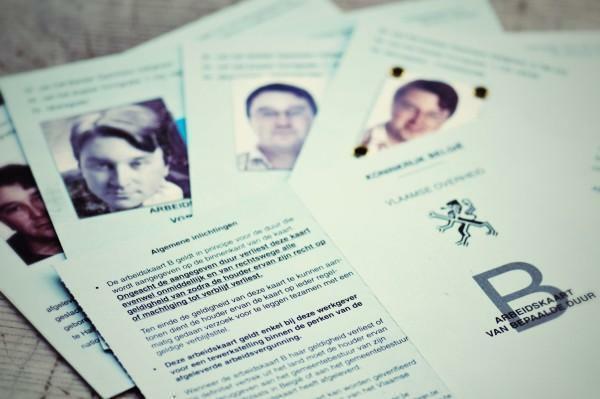 Plenty of Belgian work permits… but will these help? I left the commune wondering what I could do about this gap in my documentation. I spoke with a few people and decided to offer the government whatever documents I had. The point is to demonstrate I worked 468 days in the last 5 years. 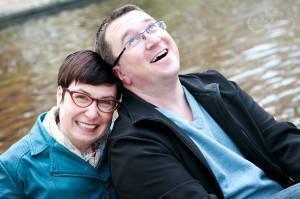 So I gathered up 5 years of Canadian pay details and Belgian tax declarations. Then I headed back to the commune. She paused and thought for a minute. Then she said something I didn’t expect, “Let me take these, send a note to the citizenship department, and see what they recommend.” I’ll be honest, I was floored. I immediately accepted the offer and gave her my phone number to call when she heard back. Four months to learn that I should have just applied! Sigh. So a couple weeks ago, I gathered up my files again and headed back to the commune. As you can expect, by now I am on a first name basis with the team at the state desk. I greeted everyone and summarized where things stood. Apparently, the supervisor I had dealt with was no longer there so I needed to explain the situation again. The new supervisor seemed to grasp the issue and he agreed there was nothing else I could really provide to demonstrate my employment. However, he cautioned me the citizenship department might still refuse my application, since it doesn’t have the proper documents. The risk was waiting another 4+ months and losing 150 euros. To me, it is both funny and odd to get this reaction at the commune. We’ve met so many people who didn’t care (e.g. the woman in Kortenberg who refused to renew my residence card because it hadn’t expired), but this guy seemed to have some real empathy for my situation. I hope he will hold on to it and he doesn’t burn out over his career. Of course, I opted to apply. As I told him, I waited 5 months to hear about my documents, in which time I could have heard about the application itself. There was no other way to find out. I haul out 150 euros to pay him. “So I pay them and make the application there?” I ask. I look at him, perplexed. Yes, Kafka is laughing in his grave. I jump on the Metro to go to Louise, walk 5 minutes, proceed to the 5th floor and go to the booth at office 7. I ring the bell. A woman arrives and I tell her I want to pay the fee for registering my application. She asks for 150 euros and my identity card. She takes these to her desk and brings up my file on her computer (note: any gov’t department can do the same thing). She prints out a form, signs it, embosses it (very important), stamps it, then files it. She walks over to another line of open books on top of a table. She manually notes my identity card and payment in no less than 3 different books! Finally, she fills out a receipt (by hand, of course), embosses it, stamps it, and signs it. She comes back to the window and hands me the receipt and my identity card. Again, I was taken aback by his helpfulness. Why aren’t there more of these types of people working in the government? The cost of applying has gone from 45 euros two years ago to 175 euros today. That’s quite the inflation! Fee paid. Application submitted. Hurrah! Now I can only wait. The citizenship department has four months to review the application and provide their advice (positive or negative). If I hear nothing in 4 months, I become a citizen. Meanwhile, I could be called to court, at any time, to appeal my first application. However, I’ve recently learned that the Justice department could take 1, 2, 3, or 4 (!) years before my appeal is heard. Good thing I’m not waiting on that! For anyone navigating process in Belgium or any other country, I hope the above made you laugh in a few places or you saw yourselves in it somewhere. Although my experience is with Belgium, this sort of situation is not unique to Belgium. There are plenty of hurdles to jump in any government process. Below I’ve included a couple of short videos which are definitely worth watching. A Belgian (thanks, Marc!) shared the first on with me. It features Asterix and Obelix navigating Roman bureaucracy. This is how I feel every time I interact with government offices. The second video comes from our American friends carving out a life for themselves in Spain (thanks, Warren and Betsy!). This video features a woman who is determined to beat the system. It gives me hope! Thanks for reading this far… it’s a long story and it’s not over yet. If you are navigating a bureaucratic process, my only advice is to be patient. Treat it like a game. Every event, paper, or conversation reveals a new clue for you to puzzle over. What’s your story? I’d love to hear about it and how you manage the frustration. Share your experience in the comments below or drop me a note via our contact page.